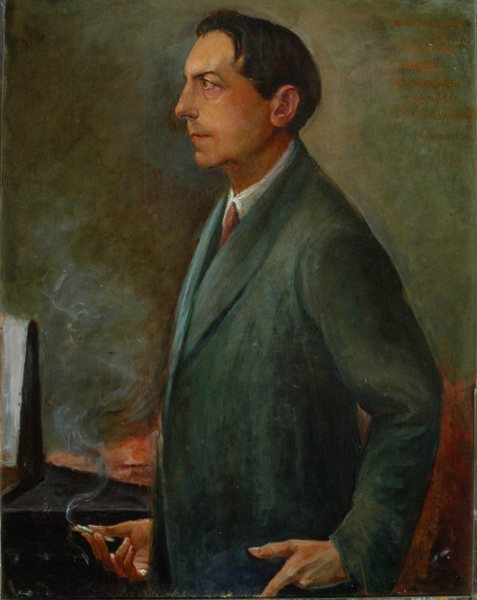 Image of the artist when young. A note in red, written with a paintbrush, on the right side attests: when I was 30 drawn by P. Canonica from memory. 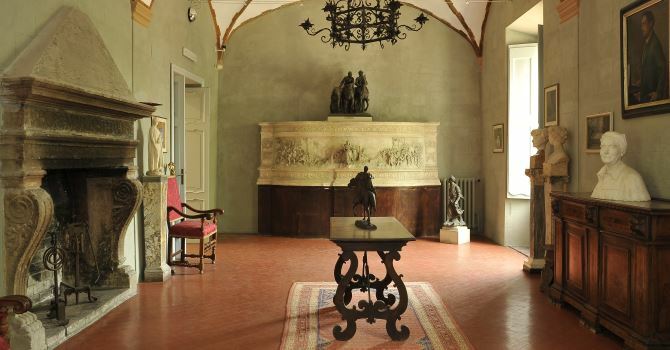 The Room of the fireplace is so called because of its monumental fireplace in volcanic stone, created in 1581, which comes from Vetralla (in the region around Viterbo where the artist had a villa).